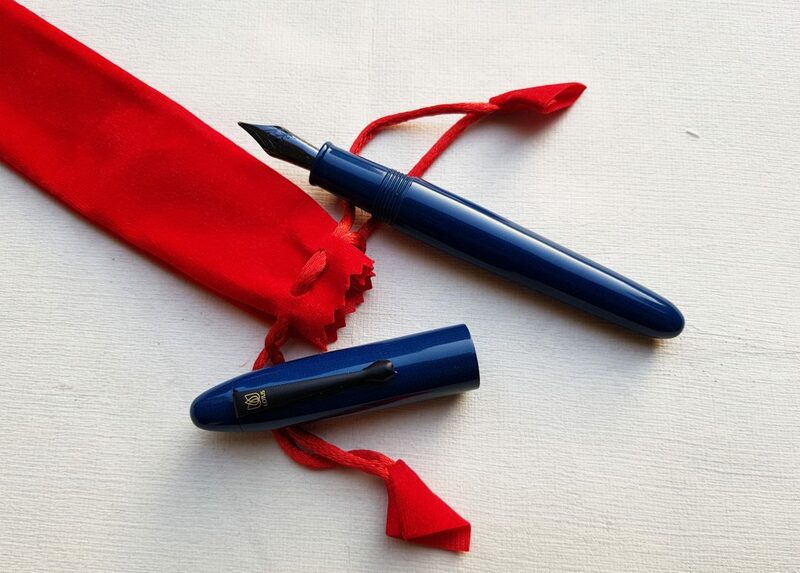 I am amazed by the n number of inexpensive pens without the compromise on quality front from major of the Chinese pen manufacturers especially Hero and Jinhao…. 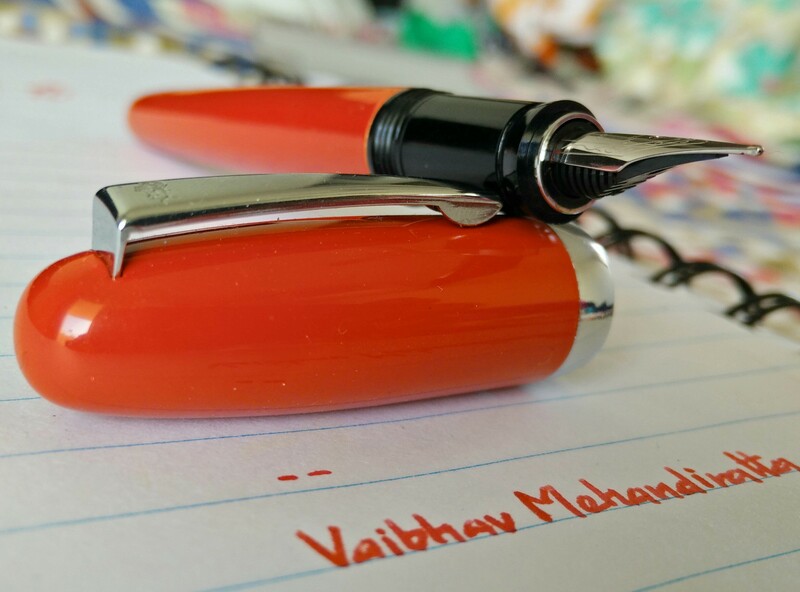 There are other expensive Chinese pen also there with the likes of duke, kaigelu…. 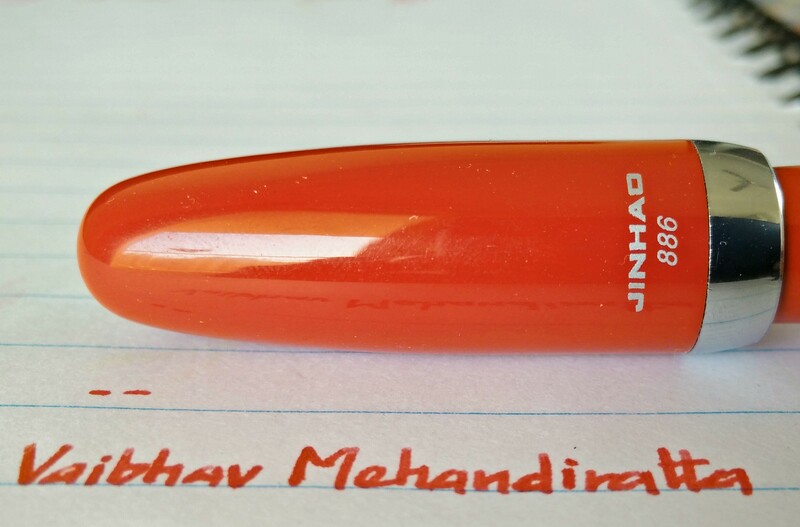 Recently i got hold of lot of Jinhao pens which I will be reviewing in future days to come one by one. The pen looks and is built like a bullet. Its construction quality is amazing. Not very heavy not that light also. Just apt for its size. Yes, this is a small size pen which looks very cute. Comes in variety of colors like neon green, blue, gold, black, and red. These are the only colors that i have seen up till now. The pen looks very cute and beautiful. I have recently developed craze for small pens. 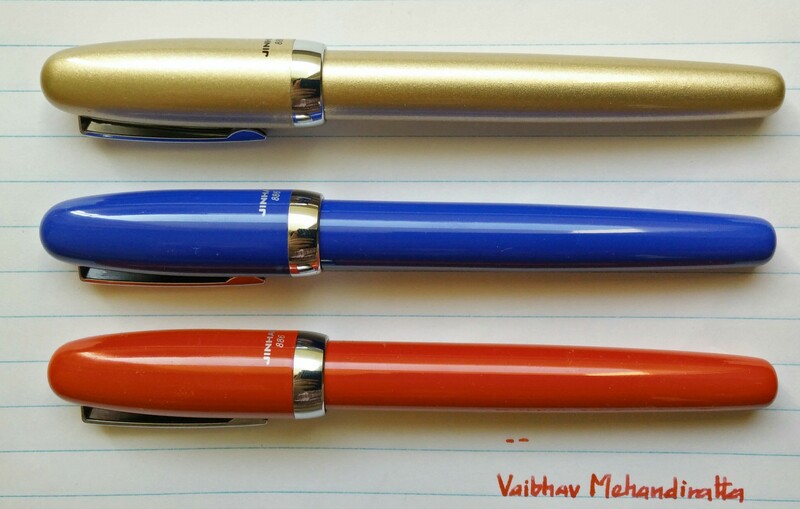 Acquiring Kaweco Lilliput, Kaweco Ice Sport and Pilot Petit 1 recently. And yes i believe this pen stands out there as among the best. Also I am trying to get one small pen customized but that for the later. The pen barrel and cap are metal which are painted in various finishes. The cap itself is small and gets easily posted at back. The cap easily comes out in 2 turns. AND yes one more thing just like Jinhao 159, this pen has threaded section and cap easily snugs in to the pen after 2 turns. The built quality is impeccable for such lowly priced pen. The clip of the pen is sturdy and tight with choir logo at the top of clip, visible in pic above. 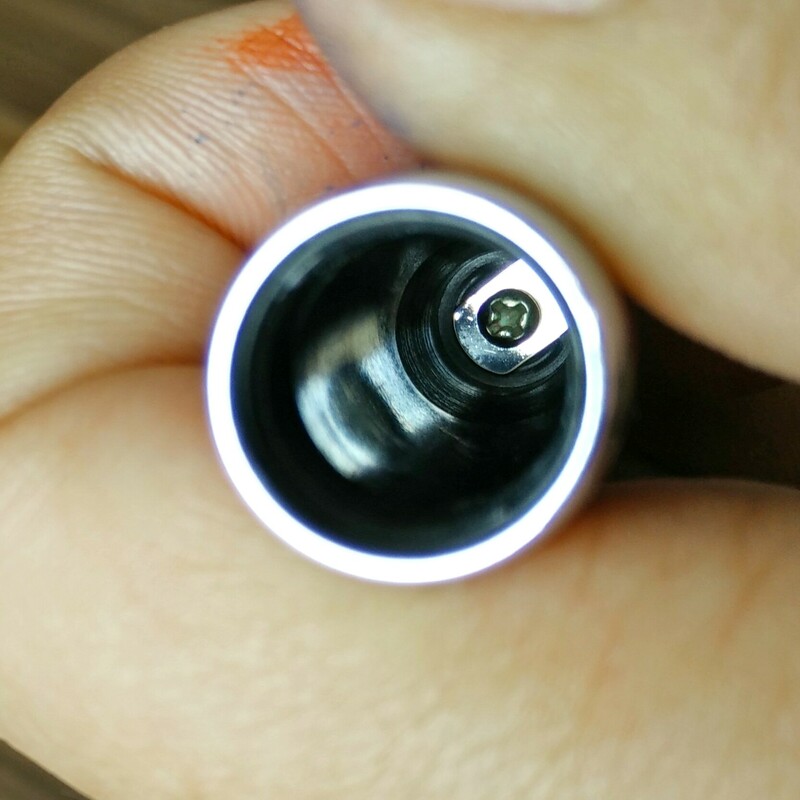 There is silver colored center-band which is in tapered profile towards the barrel. The Section is made of black colored plastic which seems to be of good quality unlike the foul smelling Walitys. The pen comes with screw type converter which is of acceptable quality. 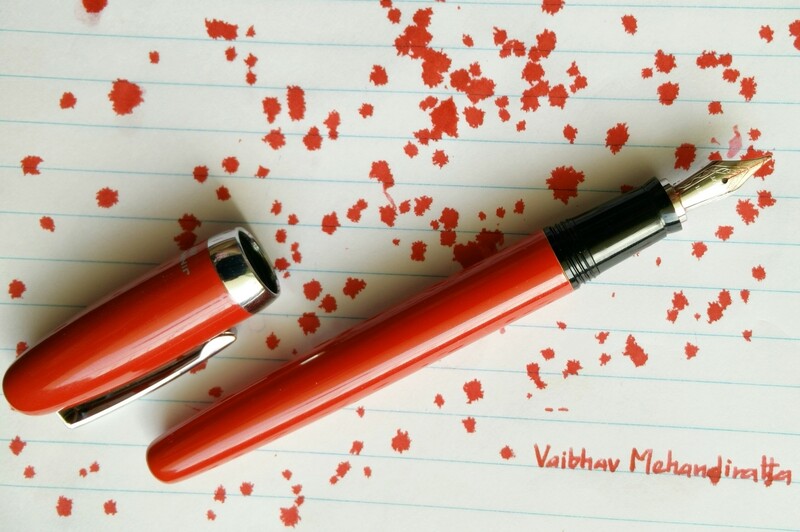 Though i have yet not tried but i believe the pen can be used as an eye dropper also. 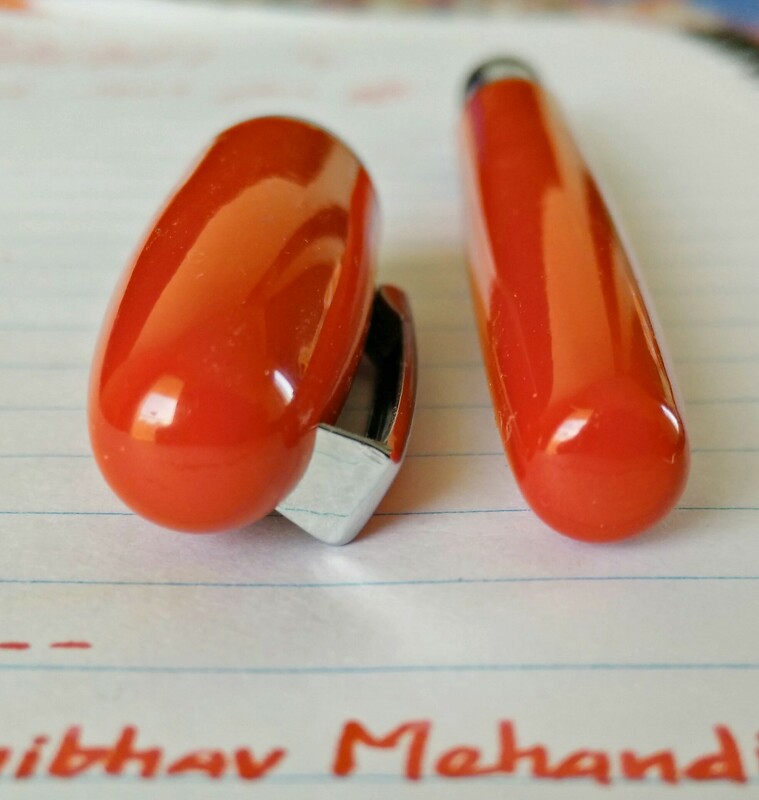 The cap top and bottom of barrel are rounded and its quite a neat job they have done with the pen. 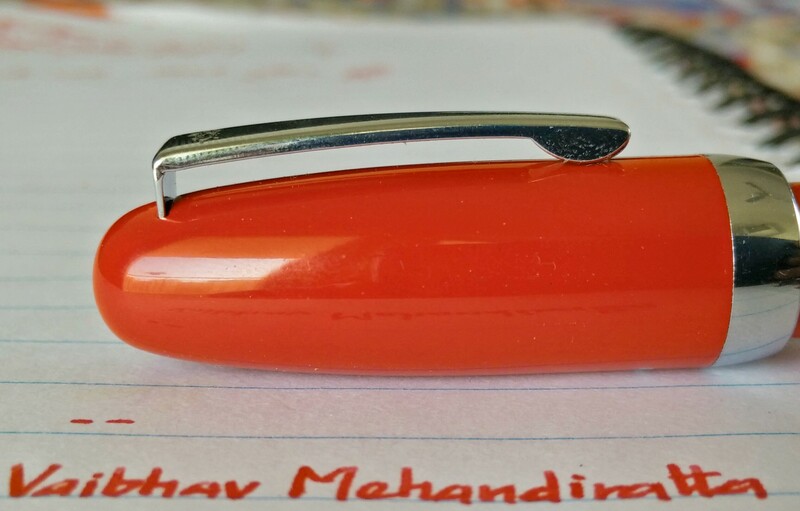 The section top has silver O ring which ads to the aesthetics of the pen. And the nib is also silver monotone nib. The cap has inner plastic lining to prevent the drying of ink. Also in the image below we can see that clip of cap is screwed inside. 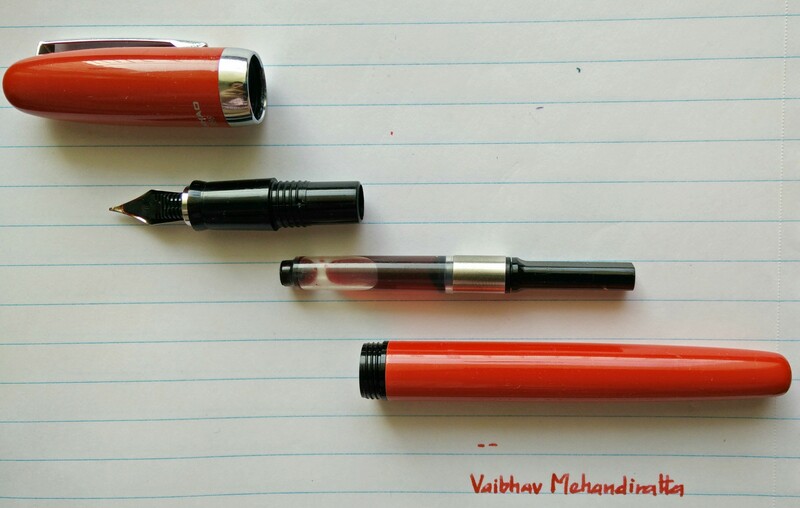 Few images below shows the comparison with different pens purely for an idea of size. Overall I am far more than happy with design and built of pen and probably thats one of the reason i bought whole box of pen. 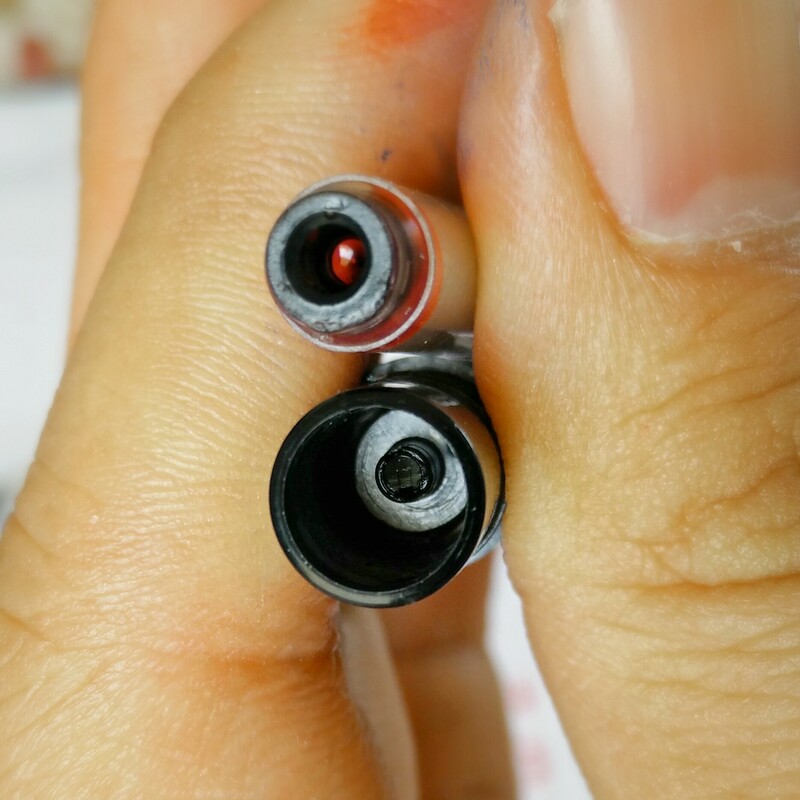 Though i fear over the period of rough use will do certain damage to paint finish of the pens. 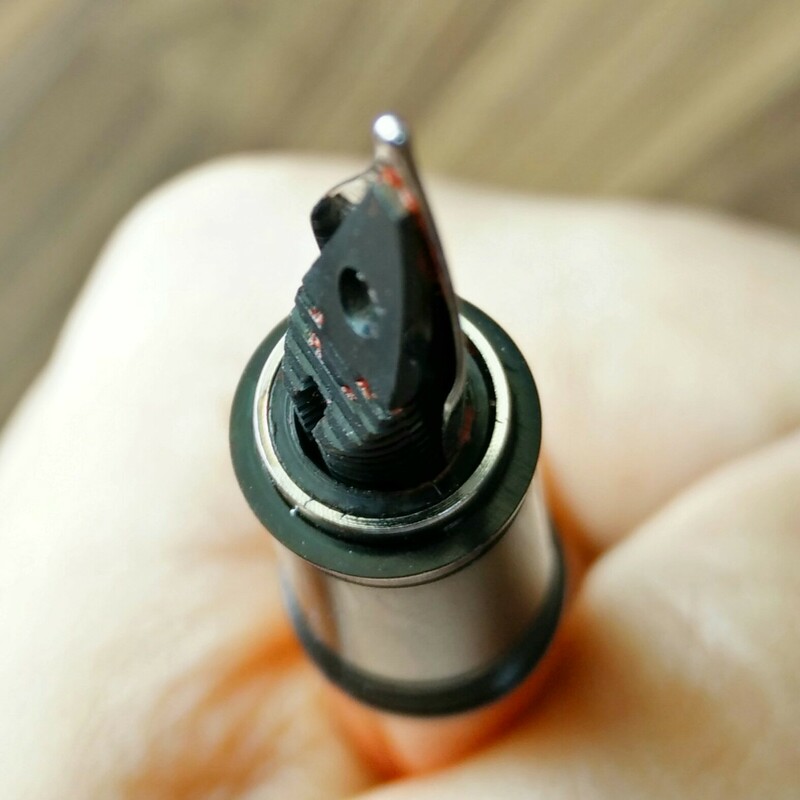 The size of pen is 122 mm when capped and 115 mm when uncapped, thus smaller than regular pens. The pen great to hold. 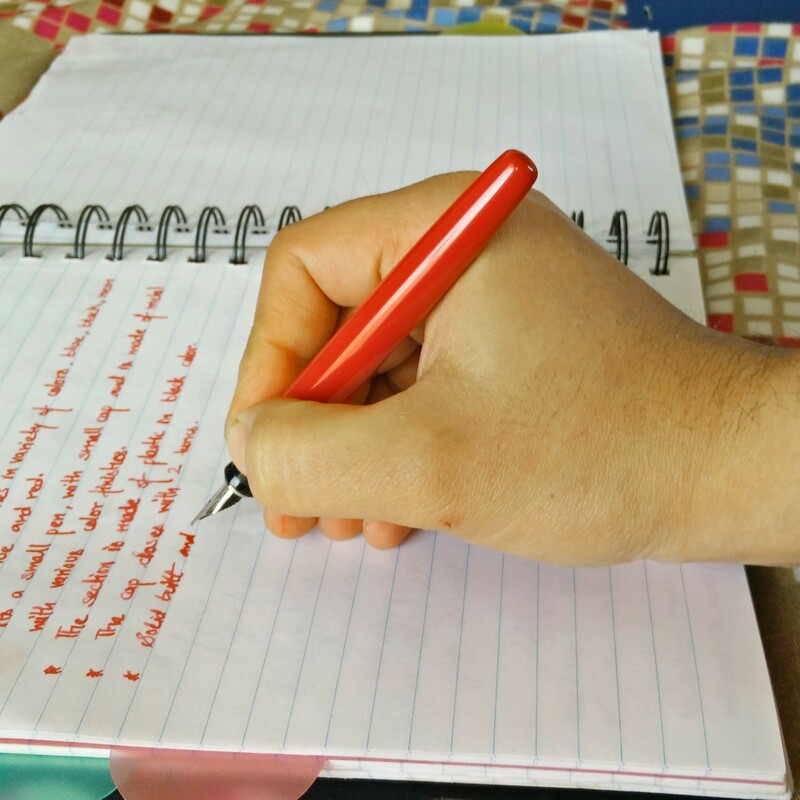 The grip section is also quite comfortable and it feels great to hold the pen. 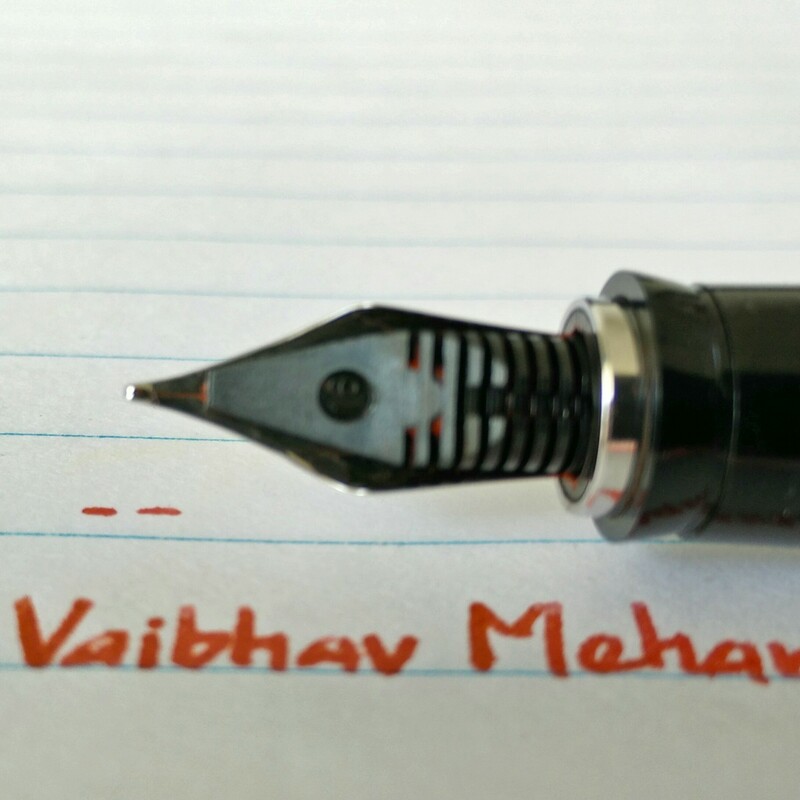 The pen is extremely well balanced when writing without the cap posted at back. Posting cap ads a bit of length to otherwise small pen and also a bit of heft to pen but not much. Therefore i believe many people will enjoy writing with this pen with cap posted at the back. 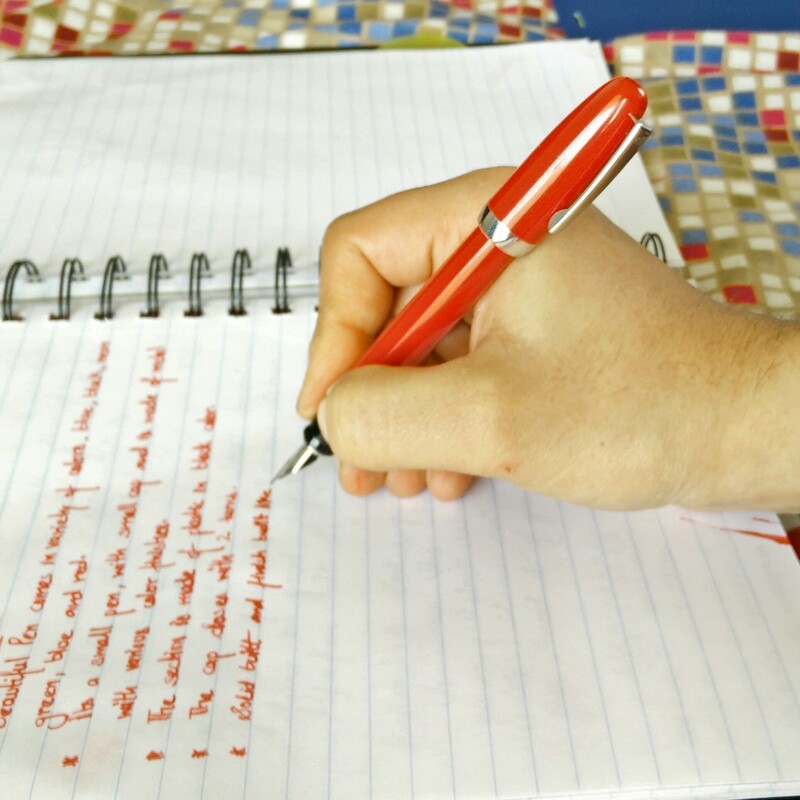 People who prefer writing with small pens must grab this pen. The best part is that the cap posts tightly at the back. Bottom line is its a very well balanced pen whether the cap is posted or not. People with very large hands might have trouble holding the pen. The nib where it shines more and probably this is one of the strongest reason i bought complete box of the pen. 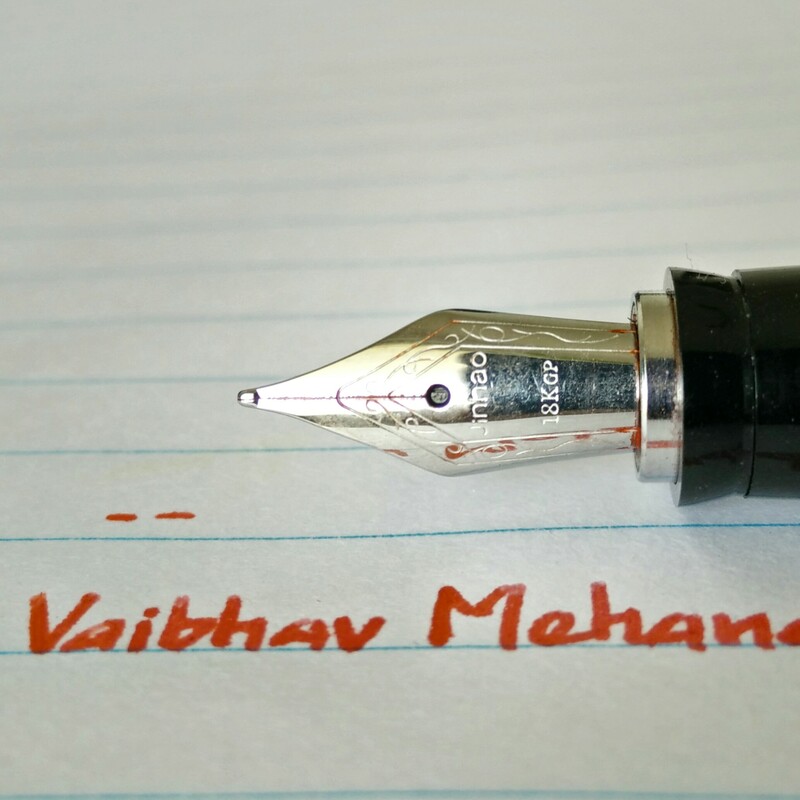 The pen comes with silver monotone nib with marking of ‘Jinhao -18 KGP’ like all of their nibs. The nib writes western Medium and that too very smoothly. Ink flow is quite wet. The feed is made of plastic and ink filling mechanism is through converter which hold good amount of ink. The converter I believe is better than what i got with Jinhao 156. The converter is screw type converter. 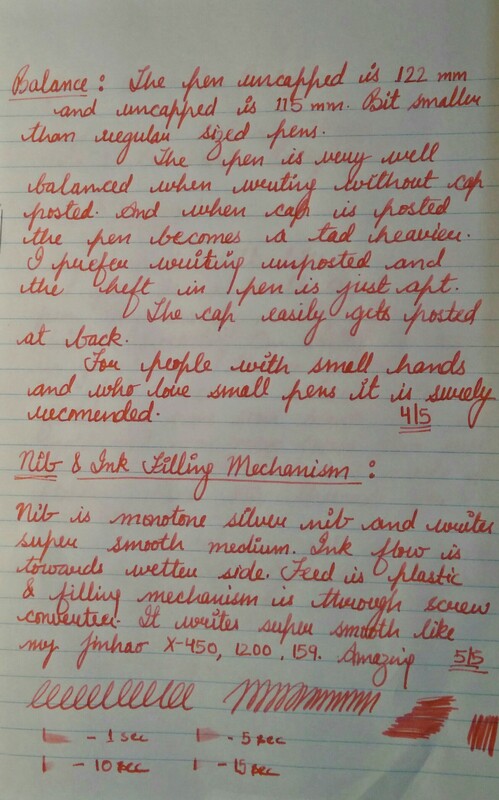 Below are the few images of my handwritten review which shows the sample of writing. 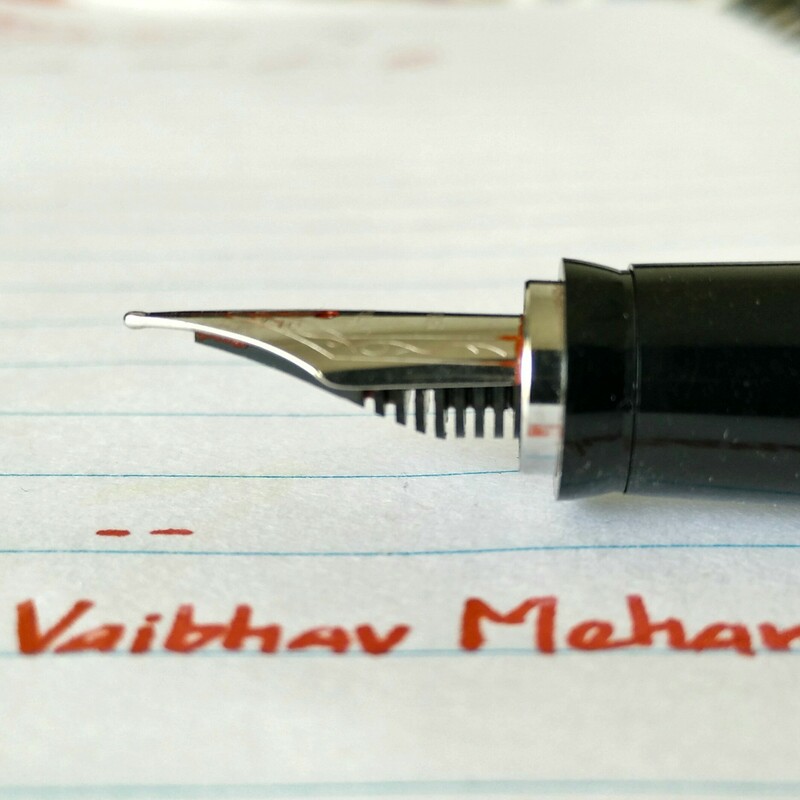 The pen writes medium wet. There was no skipping. Have been using pen for past 3-4 days never had a dry start. I would put this pen in the ranks of X-450, X-750 and 159. But a small pen which writes amazingly well must grab for people who love small pens. 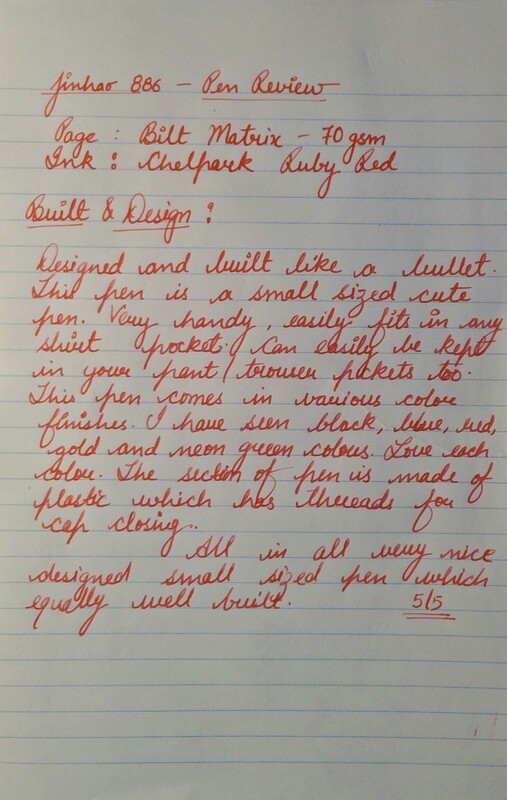 Is there any flex nib that is compatible with this lovely model? The 159 takes the #6 flex nibs, what about this? Bought 2 from AsA Pens. Red and Green. 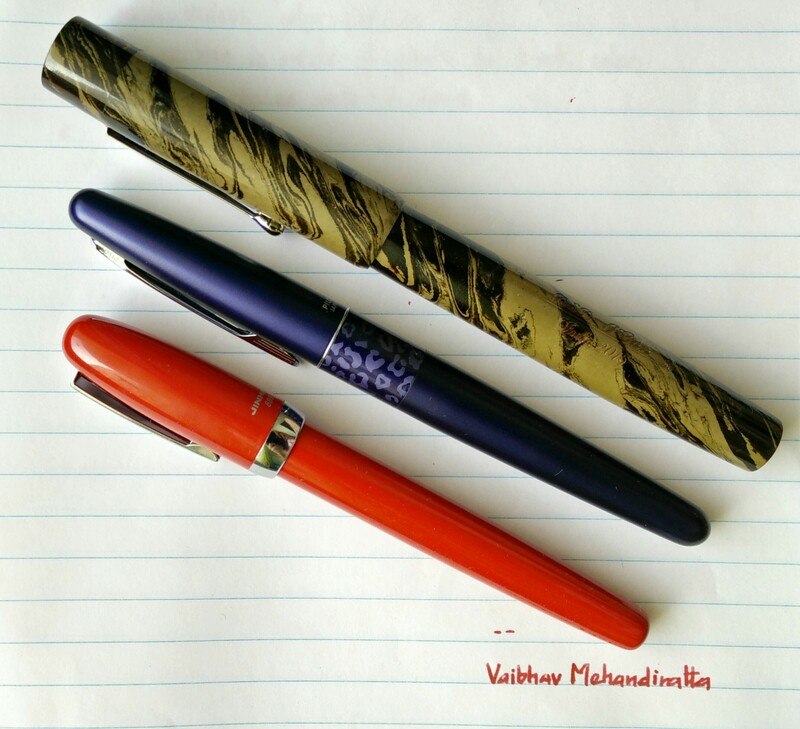 Great pens. Thank you Vaibhav.